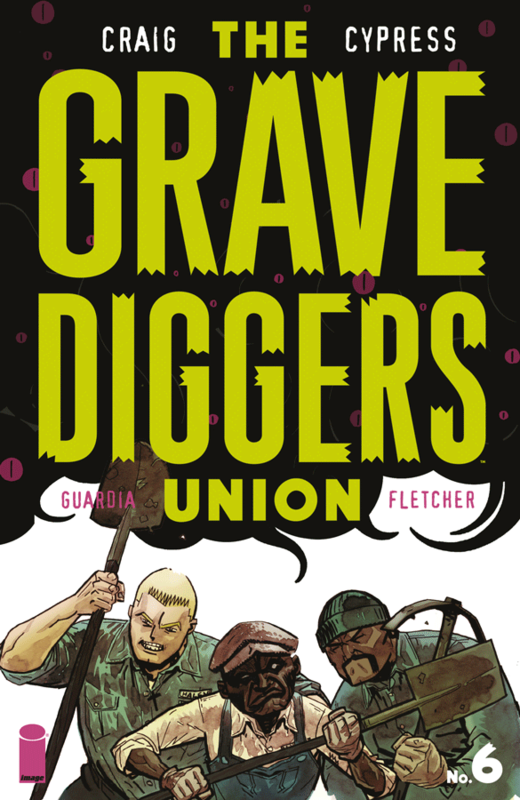 Image Comics’ The Gravediggers Union series continues on its enthralling journey of both excellence and wickedness! There are a lot of things that work about this series, and I find that the overall tone and scope of these comics are among the principal points of enjoyment for me. Everything comes together to form a cohesive experience for readers, from the artwork and illustration to the dialogue between the characters. It’s both eerie and witty but avoids the plight of taking itself too serious. As the Gravediggers continue their mission, I find myself loving this series more and more. There’s a lot to digest in this issue, as tensions begin to rise towards the inevitable battle for the fate of humanity. The fact that there’s so much at stake, both personally and on a large scale, makes for an entertaining thriller that you won’t want to miss! This issue is especially essential because of the magnitude of the events taking place. It feels like the tipping point for even bigger action as the series progresses, and you won’t want to miss the cliffhanger ending! Previous Star Trek The Next Generation Through the Mirror #1 Review: Attack of the Goatees!